N. Radhika | I.K International Publishing House Pvt. 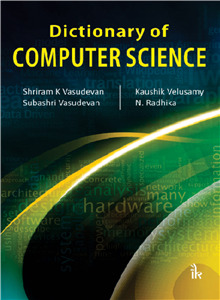 Ltd.
N. Radhika is an associate professor in department of Computer Science and Engineering at Amrita University. She has a Post-Doctoral degree from IIT and she is a teacher who does research as full time work. She has published a lot of papers in reputed international journals. She has delivered lectures in many colleges and has served/serving as reviewer for many international journals. She has been guiding lot of Ph.D. Scholars.